Inside, the dining room table comfortably seats all 10 guests, so that you can enjoy your meals all together. The full kitchen is well-equipped, and the living room boasts a large, original fireplace. The house sits at the end of a private road that runs 350 meters to the center of the property. 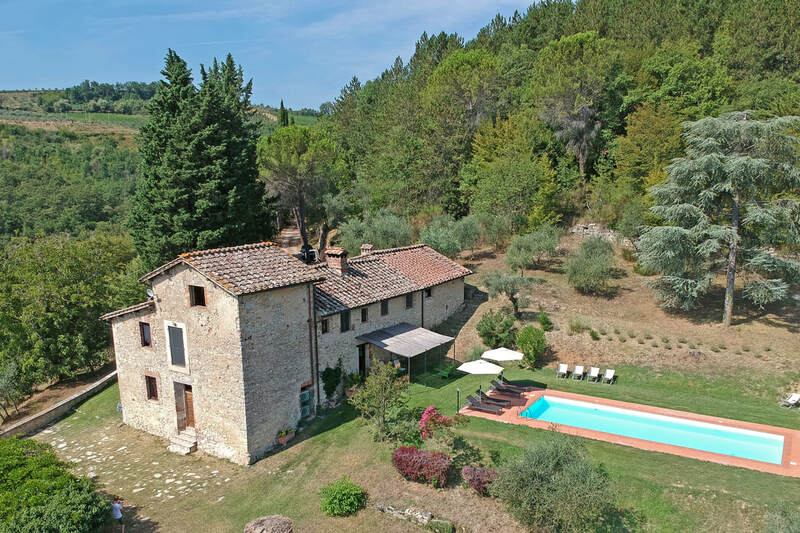 The private pool is 12 x 4 meters (39 x 13 feet), with a splendid view of the countryside. We invite you to immerse yourself in the absolute tranquillity of the Tuscan countryside. 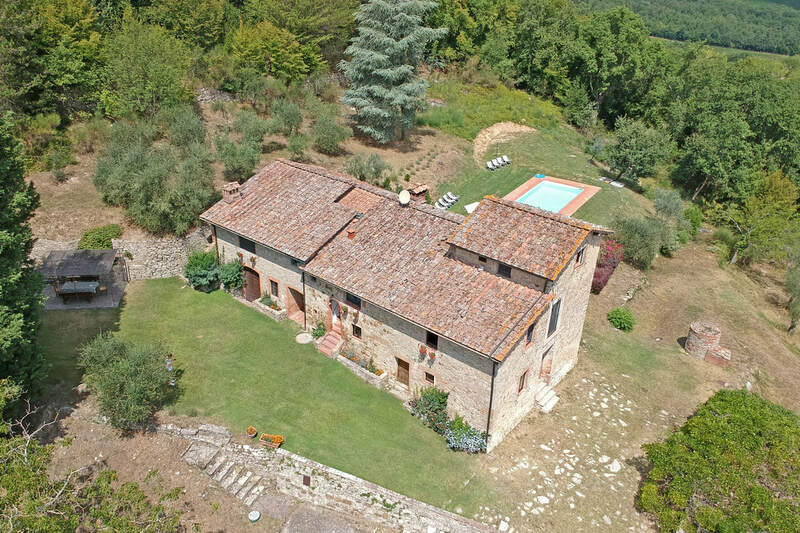 Our stone farmhouse sits on a hillside in Chianti, just 15 km from the center of Siena. 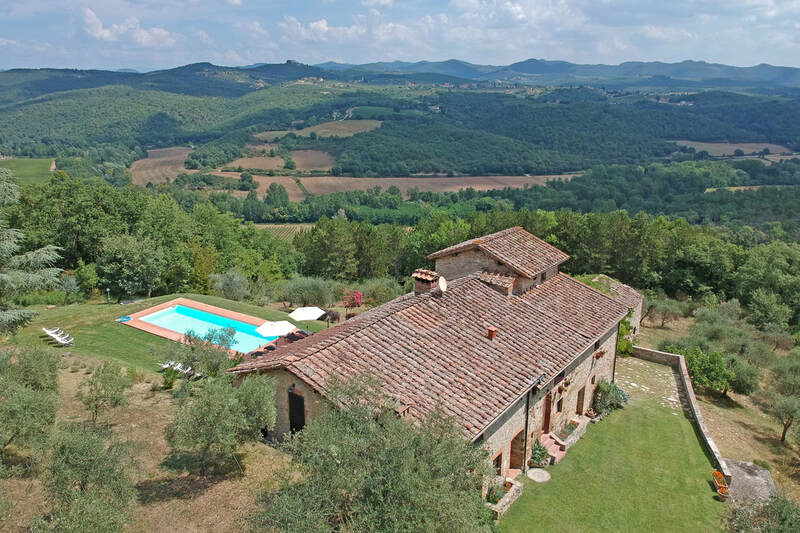 We invite our guests to take in the view of the Chianti hills from the private pool, take a walk on our 25 acres of private woods, and relax in the garden. The house sleeps 10 people in comfortable, spacious bedrooms with AC, exposed wooden beam ceilings and terracotta floors. Outside, the large patio offers tables and chairs for dining al fresco, overlooking the hills. If you enjoy cooking outside, try barbecuing at the outside grill or making a pizza in the garden’s wood-burning oven.